Aspen Future of Work Program (AFWP) intends to create a non-partisan platform and a community dedicated to emerging leaders from a variety of backgrounds (decision-makers, experts in the industry, business people, social entrepreneurs, civil society, researchers and academics) interested in subjects covering the Future of Work. 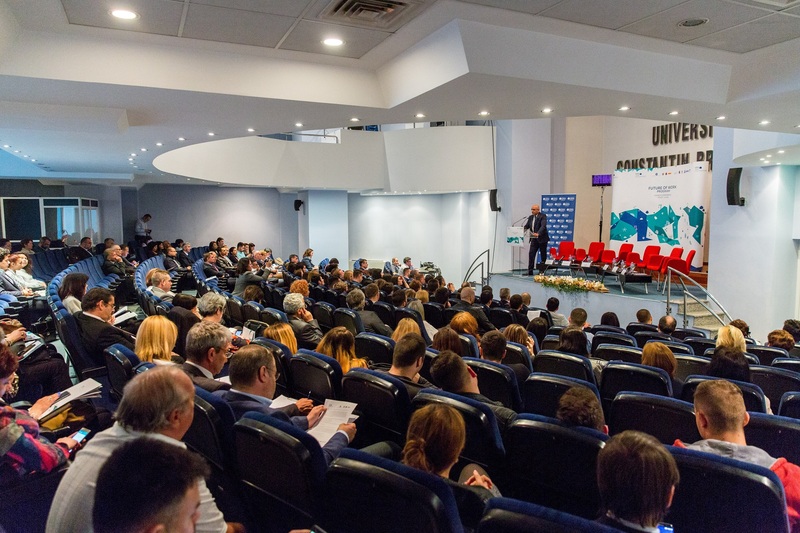 AFWP sets out to explore possiblities for developing strategic sectors in Romania, creating new jobs, mitigating social risks and increasing the country’s competitiveness, in the context of fast evolution of technology. AFWP seeks to contribute in a non-partisan way to public sector policies, frameworks and strategies on key domains that will be significantly impacted by this fast evolution of technology, especially the STEM (Science Technology Engineering Mathematics) based public system curriculum and digital literacy. Another priority identified in the program is addressing structural challenges to Romanian competitiveness from a workforce and skills point of view. AFWP further seeks to contribute to policy-formulation for skill certification and developing a set of skills necessary in the 4.0 Economy. In a society deeply affected by illiteracy, migration of skilled professionals and dilution of role models, the gap between the current status of the Romanian workforce and the requirements of an automated AI driven economy is evident. Thus, the involvement of companies from the first educational levels provides the premises of flexibility and development of competences to solve complex challenges and the instillment of foundational literacies (the way students apply core skills to everyday tasks). The industry representatives bring hands-on knowledge of the core STEM and digital skills required by the 4.0 Economy. The panel investigates the multiple ways in which a company may bring value to the educational system, including dual training, vocational and technological training, highschool internships, development of infrastructure etc. A core question in the development of a good society is the image of the workforce in the future and the way it represents a competitive advantage. In the quest for highly skilled, highly productive, resilient workers bringing substantial added value to products and services, companies and governments must join efforts in setting the proper framework for the transfer of knowledge, skills and innovation. The Internet of Things, automation, digitalization provide opportunities for the development of a flexibly-skilled, competent mass of professionals, conditioned by the collaboration of the public, private and non-governmental stakeholders and the ability to swiftly transfer practical knowledge from companies to public policy.